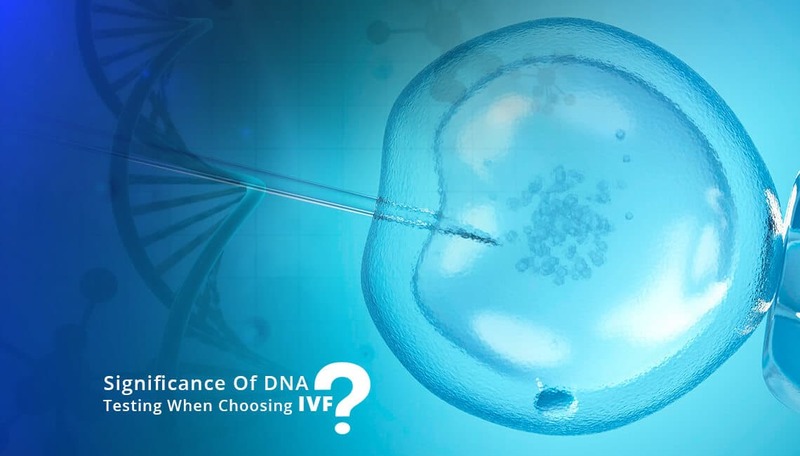 Significance of DNA Testing When choosing IVF? In Vitro fertilization (IVF) allows couples struggling with infertility to realize their dreams of founding or growing their families. If you and your partner have difficulty conceiving a child, talk to a doctor who specializes in IVF. IVF treatment involves egg retrieval or the use of donor eggs, laboratory fertilization and embryo transfer. But there are many cases which we have witnessed that delivered baby was not biological related to both of the parents or one of the parent. During this time of IVF, consult to the doctor that yow will only accept the child after the DNA test. Each fertility practice is different: some doctors transfer multiple embryos during IVF treatment, while others only transfer one. It is recommended to take NIPT test when parents are obsessed about their baby’s health or serious physical or intellectual difficulties. NIPT provides a definitive diagnosis if the disorder is inherited from the father or arises at conception. It allows the couple to conceive naturally, can be carried out at an earlier stage of pregnancy than invasive testing and is safe and accurate. Premature ovarian insufficiency or decrease of ovarian reserves: When you meet the fertility doctor, he or she can screen you for a decrease in ovarian reserves or premature ovarian failure. It is a condition in which the ovaries stop releasing the eggs properly or produce enough estrogen before the age of 35. Endometriosis: Your uterus contains a mucous called endometrium. With endometriosis, this material grows outside the uterus in areas such as the ovaries or intestines. This disorder can be painful and often leads to the development of cysts, scar tissue and adhesions. Complications of endometriosis can affect your fertility. Uterine fibroids: Uterine fibroids, which are non-cancerous tumors located in the uterus, can deform the uterine cavity and cause fertility problems if it prevents a fertilized egg from attaching to the uterine wall. Uterine fibroids are often asymptomatic, so you may not even notice until you see a doctor for your fertility problems. Fallopian tube problems: After your ovaries have released a mature egg, it moves into the fallopian tube and stays there for about 24 hours, during which time it can be fertilized with sperm. If the fallopian tube is damaged or obstructed, the egg may not be fertilized or may have difficulty reaching the uterus. Male infertility: IVF treatment is not just about women’s fertility issues. If the male partner has a low sperm count, low sperm motility or abnormal sperm morphology, it may be difficult for the sperm to fertilize an egg. An unexplained fertility problem: Unexplained infertility is a frustrating diagnosis to receive. It’s also a common. About one in four fertility couples will be informed that there is no explanation for why they cannot conceive. Unexplained infertility does not mean, however, that you have no options. There is a reason to hope. If you have been trying to become pregnant naturally for more than a year and now plan to help you improve your fertility, in vitro fertilization (IVF) may be a solution. Around the world, more than 3 million babies are born through in vitro fertilization. But, in order to determine if the child and parents are biologically related, then a DNA test and NIPT test is must. Please call our customer executives at: + 91-8010177771 or contacts us and he/she will guide and suggest the appropriate DNA test to you. Knowing about the significance of DNA testing is quite impressive. Interesting blog post. Your site has given the best information from your articles they are amazing and useful to all people. Thanks for sharing this post and Impressive site you have thank you all. IVFAdvanced approach is to provide individual treatment plans tailored specifically to your needs with Clarity, Ethics, and Values for High Success rates and ever-increasing happy couples. Your site has given the best information from your articles they are amazing and useful to all people. Thanks for sharing this post. IVFAdvanced approach is to provide individual treatment plans tailored specifically to your needs with Clarity, Ethics, and Values for High Success rates and ever-increasing happy couples. DNA Test to Identify Child Swapping Cases in Hospitals! How to Choose Best IVF Center?